NOTE: W460 & W461 models have a different Frame Bracket than the W463. Installation photos shown are from a W463 model. Please Note: A separate Frame Mounting Kit for the G550 and G63 (2009 to present) is available - see amendment. Remove the two existing M-10 hex bolts on the right outside bumper bracket. Install the new Frame Bracket using the new longer M-10 x 40 mm hex bolts. 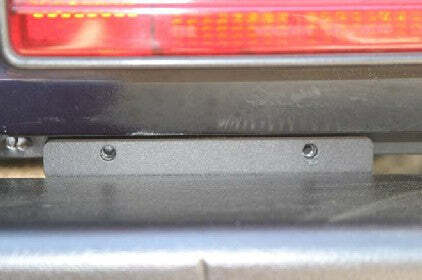 With the two threaded M-6 holes facing the rear, position the bracket into the gap between body and the top of the bumper. The two threaded M-6 holes in the bracket must be levelled up nicely horizontally, use washers/spacers as needed to achieve. Finger tighten the M-10 bolts. Do not use wrench at this point as the bracket needs positioning with the ladder so not to interfere with the door, light and bumper. 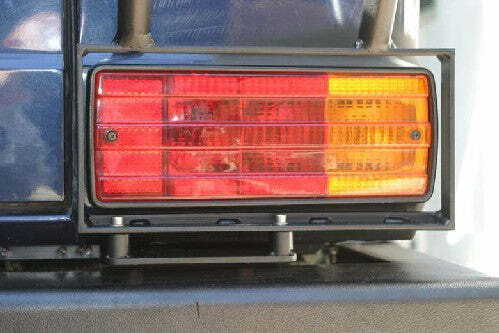 Remove the right rear tail light lens. 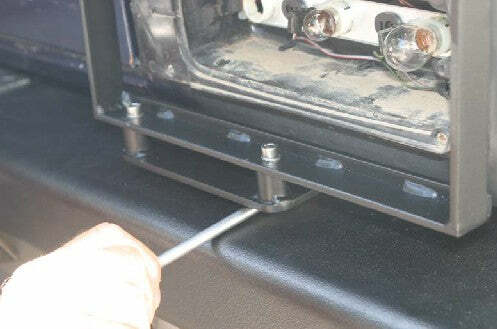 Insert the Ladder Mounting Plate as shown between the body/bumper gap, and fasten it to the previously installed Frame Bracket using the M-6 x 20mm Allen cap screws & washers. Again, just finger tighten until the ladder is in place and top of ladder has been tightened. NOTE: If the existing gap of body/bumper is too tight, readjustment of the bumper will be required. 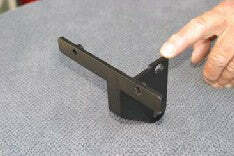 It is important to insure the Ladder Mounting Plate is installed level. 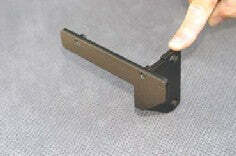 Fold the included Foam Pad into a “S” shape and insert into the ladder’s upper mount as shown. Carefully slip the top of the ladder onto the rain gutter making sure the protective pad is still in place to cushion the ladder against the gutter and vehicle paint finish. This must be done at the same time as the bottom of the ladder positions on the M-6 spacer of the Ladder Mounting Plate. Position the left side of the ladder approximately one inch from the door gap as shown. Sight the ladder’s vertical position and adjust it carefully parallel to the rear door frame / gap. Adjust the clearance between the tail light lens, Ladder Bracket and the rear door as needed. Carefully check for correct rear door open & close operations. Remove protective adhesive film from Locking Bar and with the narrower side of the bar to the right (rain gutter slopes down to the right) line up the mounting holes with the upper ladder mount and push it up against the under side of the rain gutter as shown. IMPORTANT: Using a small wooden block and a clamp, gently clamp the Locking Bar against the gutter applying enough pressure to align the holes to securely mount the top of the ladder. NOTE: If the optional light kit was purchased, install its bracket now. 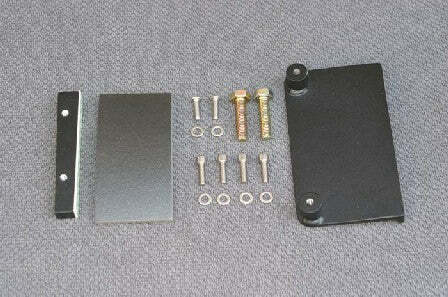 Insert the two button head screws and washers and tighten them down securely. Do not over tighten, as the Locking Bar is threaded aluminum. Install the two M-6 Allen cap screws and washers through the Tail Light Frame into the mounting plate. Re-install the tail light lens. After verifying the correct clearance to the rear door and tail light lens, tighten the two M‐10 hex bolts on Frame Bracket and the two M‐6 Allen cap screws on Ladder Bracket securely. Due to the large OEM fuel tank protection plate found on the late type G-Class (G550 & G63) the mounting space for our standard lower mounting bracket has been mostly taken by the OEM protection plate. Unplug the cable from the far right back-up sensor. Remove the existing right hand outer bumper bracket completely from the vehicle. 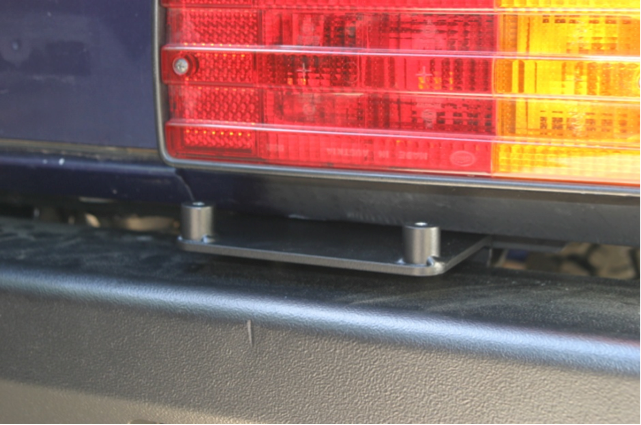 Insert the new supplied bumper bracket and fasten it lightly to the bumper and frame, using the existing hardware. Re-route the harness again through the bracket and plug it back into the sensor. 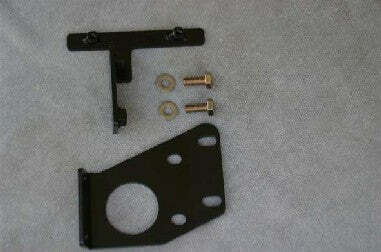 Install the t-shaped adapter using the M10 x 25mm bolts and washer against the new bumper bracket. Do not tighten it completely. Using a small wooden block and a clamp; gently clamp the Locking Bar against the gutter applying enough pressure to align the holes to securely mount the top of the ladder.